Tuffx, one of the country’s leading manufacturers of specialist glass for both the residential and commercial markets, has forged a long-term partnership with Kommerling UK. 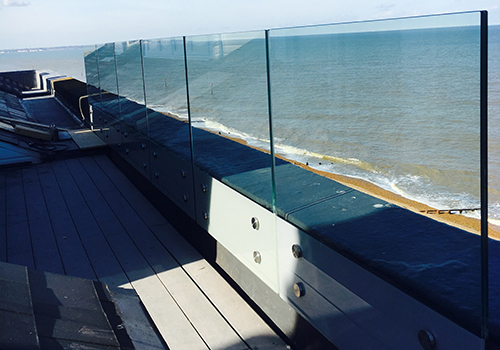 The latter is providing Tuffx with a range of hotmelts and specialist resins that are being incorporated into several of the company’s market leading products including glass for balustrades, canopies and stair treads. The product that Tuffx has introduced on its production line is Koedigaurd UV-HS R liquid composite. 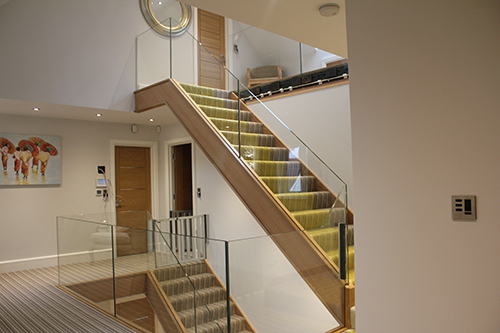 With exceptional performance in terms of the strength of the finished bond, combined with quicker processing times and the ability to apply it to bespoke pieces of glass without having to subject them to a lengthy application and curing process, the product is delivering very real benefits in terms of production times. This in turn means that not only are customer lead times reduced but so are direct production costs. Koemmerling Chemische Fabrik GmbH is a leading international manufacturer of high-quality adhesives and sealants. Its European headquarters and extensive research and development facilities are in Pirmasens, Germany and it has a network of subsidiaries, sales offices and sales partners, in more than 80 different countries. With over 110 years’ experience, the company has established itself as an innovative market leader in provision of Polysulfide, Polyurethane, Silicone and Polyisobutylene sealants for the automotive, insulating glass and photovoltaic industries. In April 2015, Royal Holdings, Inc. through its Kommerling UK Limited subsidiary, acquired CIL. Koemmerling Chemische Fabrik has been awarded ISO 9001, ISO 14001 ISO 50001 and OHSAS 18001 certification.